Mysterious Galaxy will be at Wondercon Anahim 2015! Booth #908 Mysterious Galaxy will be the center of the bookselling galaxy in Booth #908 at Wondercon Anahim 2015! Booth signings as of publication date include: Kevin J. Anderson, Rebecca Moesta, Lisa Morton, SG Browne, Cecil Castellucci, Tom King, Greg Weisman, Naomi Novik, Todd McCaffrey, Greg van Eekhout, Arwen Elys Dayton, James Morris, href="/author/weismangreg">Greg Weisman, Joe Cepeda, Jenni Holm, Molly Idle, Brian Won, Salina Yoon, Henry Herz, Nick Hurwitch and Phil Hornshaw. WonderCon is the sister show to Comic-Con International, embracing all the main aspects of that show, including comics, movies, TV, animation, the Masquerade, and more. The event has grown in all aspects over the years: more attendees, more exhibitors, more programming, and more fun. In its current Anaheim-based incarnation, WonderCon continues to be a must-attend event for fans of popular culture, including speculative fiction. For tickets and additional information for the convention please visit The Official Wondercon Website. Naomi Novik’s thrilling fantastical alternate history of the Napoleonic Wars, where aerial combat is accomplished by dragons, continues in Crucible of Gold. British aviator William Laurence and his dragon companion, Temeraire, returned to the theatre of battle even while regarded with suspicions by some of their allies. Novik’s adventure encompasses battles and disasters in a multitude of terrains and lands, including the African empire of the Tswana and Brizil, while posing moral and ethical questions for the characters and readers. Naomi will also appear at WonderCon in Anaheim. 7PM MONDAY, MARCH 12 Meet Naomi Novik: Crucible of Gold Naomi Novik Credit: Beth Gwinn for Wired ﻿Naomi Novik visits with Crucible of Gold, the seventh novel in her bestselling Temeraire fantasy series which began in His Majesty's Dragon. Captain Will Laurence and his fighting dragon Temeraire once again take to the air against the broadsides of Napoleon's forces and the friendly—and sometimes not-so-friendly—fire of British soldiers and politicians who continue to suspect them of divided loyalties, if not outright treason. They find that the success of their newest mission balanced on a razor's ﻿edge, when the unexpected arrival of an old enemy tips the scales toward ruin. Samuel Delany, Dhalgren. ; Naomi Novik, His Majesty's Dragon. Naomi Novik signs Victory of Eagles. Naomi Novik reads from Victory of Eagles . Naomi Novik's book Crucible of Gold was available from LibraryThing Early Reviewers. Naomi Novik's book Naked City was available from LibraryThing Early Reviewers. Naomi Novik's book Tongues of Serpents was available from LibraryThing Early Reviewers. Naomi Novik is currently considered a "single author." If one or more works are by a distinct, homonymous authors, go ahead and split the author. 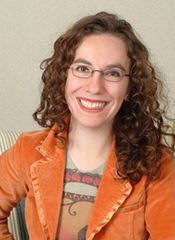 Naomi Novik is composed of 4 names. You can examine and separate out names.